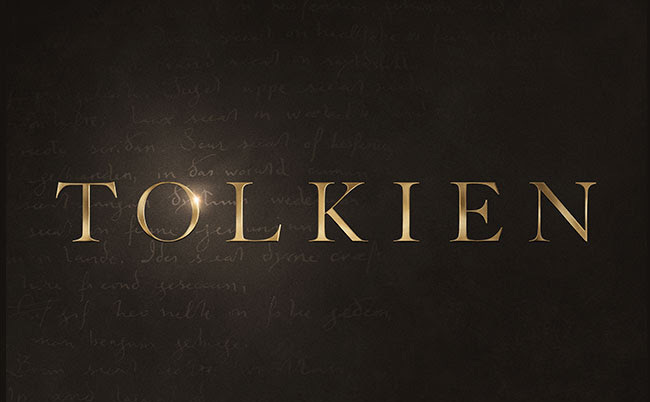 Fox Searchlight has released the first trailer for Tolkien, the film based on the life of The Lord of the Rings author J.R.R. Tolkien. Played by Nicholas Hoult (X-Men: First Class), the film follows his journey of love and his time during World War I. Although Tolkien has said that he disliked allegory, one can definitely say that World War I has influenced his works. After all, he did write a draft of the Silmarillion during his downtime. The trailer gives us many hints of Tolkien’s inspiration for The Lord of the Rings including tales of fellowship, a being coming out of flames like a Balrog, and of course, the O in Tolkien spinning around at the end like the One Ring. Fans of Tolkien will notice little details like Edith dancing in the woods. She was the inspiration for Lúthien, an elf princess who fell in love with a mortal man. Their love story is similar to the love between Aragorn and Arwen. Aragorn told the story of Lúthien to Frodo in the Lord of the Rings: The Fellowship of the Ring book. This can also be seen in the extended version of the film with the same name. The film is directed by Dome Karukoski from a screenplay by David Gleeson and Stephen Beresford. It stars Nicholas Hoult, Lily Collins, Colm Meaney, Anthony Boyle, Patrick Gibson, Tom Glynn-Carney, Craig Roberts, Laura Donnelly, Genevieve O’Reilly, Pam Ferris and Derek Jacobi. Tolkien releases in theaters on May 10, 2019. The post Tolkien teaser trailer shows inspiration for The Lord of the Rings appeared first on Nerd Reactor.